This item is none returnable unless faulty.. 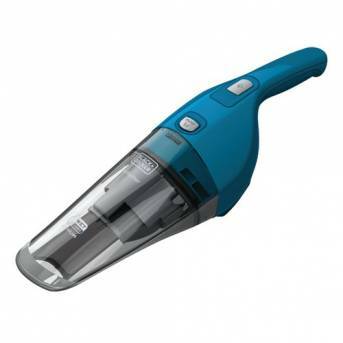 The Black and Decker Wet & Dry Dustbuster is a versatile handheld vacuum cleaner. It lets you clean wet and dry spills and the small size makes it compact and lightweight enough to make cleaning easy. A translucent, bagless dust compartment with a 370ml capacity makes it easy to know when it needs emptying. When not in use the Dustbuster can be docked at its charging base on a counter top or have the base mounted on the wall with the provided fixings.